NEW YORK – September 20, 2018 – TravelClick, a leading global provider of data and revenue-generating solutions for hoteliers, today released new data from the Company’s August 2018 North American Hospitality Review (NAHR). According to this data, the second half of the year has stable rates and bookings across all travel segments, up 1.80 percent in average daily rates (ADR) and 0.51 percent in bookings in the third quarter when compared to the prior year. 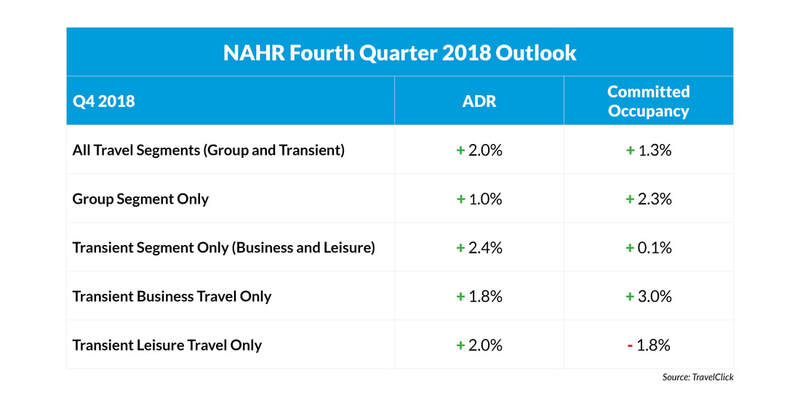 Group travel in Q3 is also up 1.81 percent in ADR and 0.50 percent in bookings, and the transient segment overall is up 1.80 percent in ADR and 0.52 percent in bookings in the same time period. 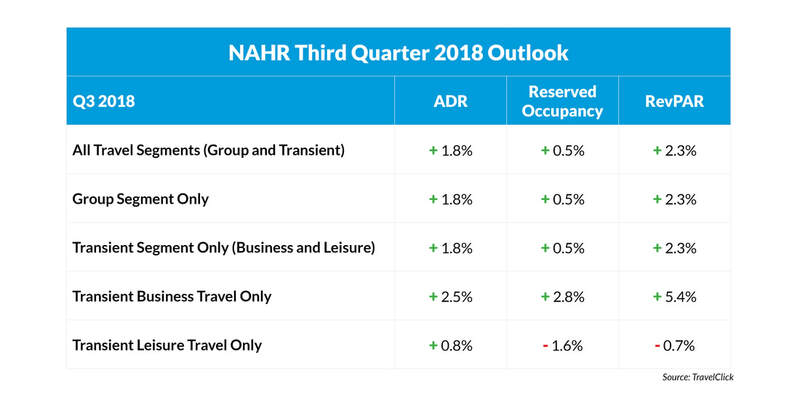 The August NAHR looks at group sales commitments and individual reservations in the 25 major North American markets for hotel stays that are booked by August 1, 2018, for the period of August 2018 – July 2019.